Affordable quality bunkbed solution for kids sharing a room or visitors. 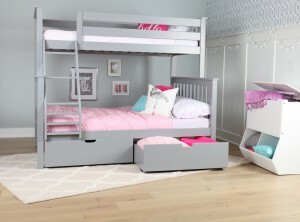 The Max and Lily Twin over Double bunkbed. 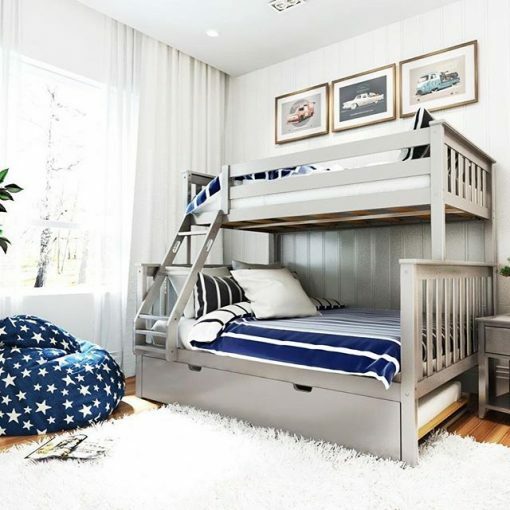 An affordable and stylish solution for kids sharing a room or visitors. 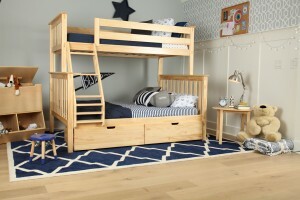 Constructed of solid, knot-free, New Zealand Pine in 4 fun color choices. Slat rolls are included, so that you only need a mattress. 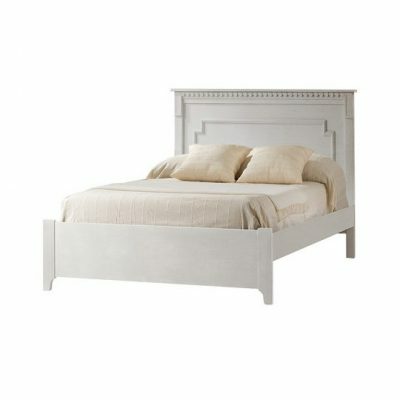 Can also be split into 2 separate beds.